The age of just having websites is over. Websites are conducting promotion for the companies while no one is aware. For example, when you exchange business cards with your clients prior to a meeting and when viewers accidentally take interest when they are watching TV or reading newspapers, magazines or OOH (out-of-home advertisements). Does your published website list the latest information? Is the website optimised for mobile devices? Is that broadcasting the information in the way you want? 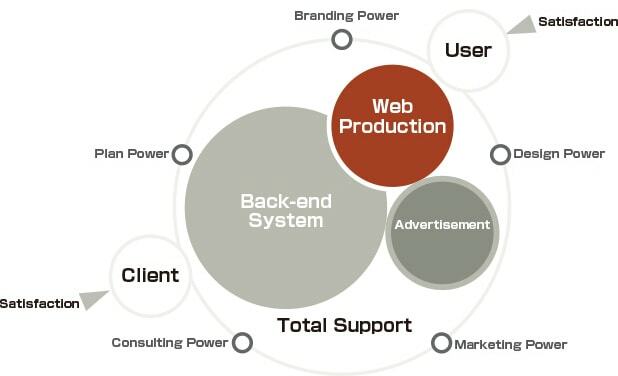 In order to broadcast what your business wants to, we develop our clients’ websites into trained sales persons.